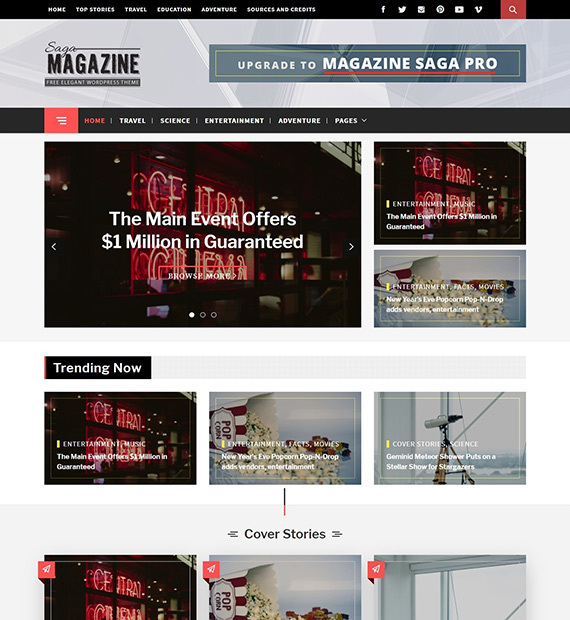 Magazine Saga is a beautifully designed feature-laden WordPress magazine theme. This theme is best suits all kinds of news, personal blogs, travel blogs, magazine and all kinds of website. Moreover, it is built with Bootstrap3 framework and is developed following the best SEO practices. Thus, it offers the best user experience with fast page loading speed. One click demo import option makes the experience even better as the users can easily personalize the website as per their choice.